Need a multifunctional oven? 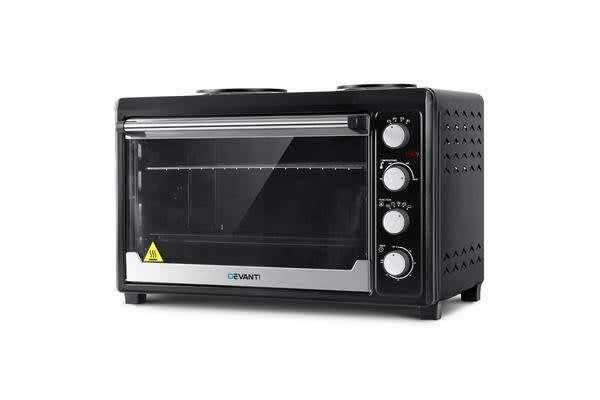 Look no further then the Devanti Convection Oven. 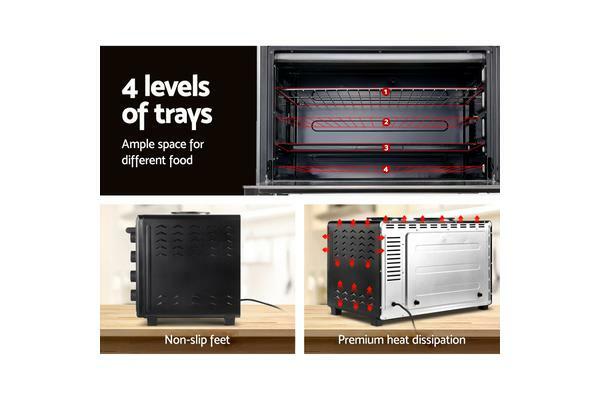 Portable and easy to use, the 60-litre capacity oven can bake, grill and roast to create your favourite recipes with minimum hassles. With its low-E tempered glass door and built in light, you can always monitor the progress of your cooking and adjust the temperature as needed. In fact, you can adjust the top and bottom temperatures separately for even better cooking versatility. The oven is well insulated to keep heat and radiation at bay for comfortable cooking at all times. It also has a 60-minute timer with alarm to help you timed your cooking to perfection. 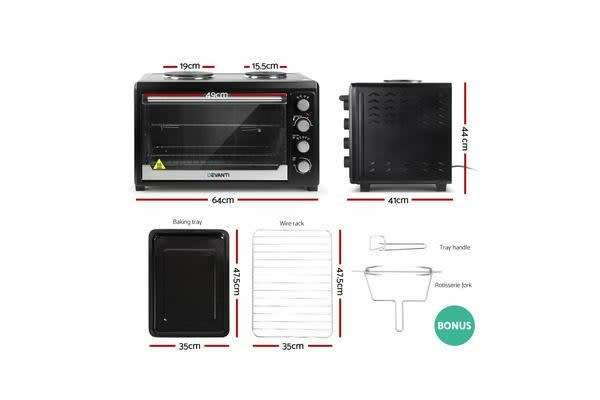 Not least, the oven also comes with a host of bonus accessories that include a baking tray, wire rack, tray handle, rotisserie and rack.